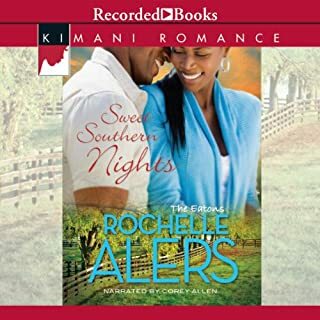 Would you try another book from Rochelle Alers and/or Corey Allen? Yes, I love her writing. She is incredibly imaginative, usually. This book was not a complete flop, but it could have been better. Maybe I was just frustrated by the reader. Would you be willing to try another one of Corey Allen’s performances? NO! He was dry, emotionless, and made me want to stop listening after the first 3 minutes.